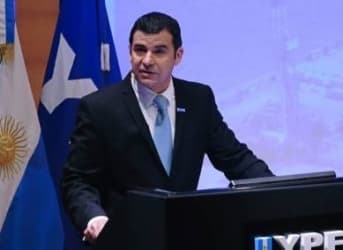 As Argentina tries its luck as the next potential venue for a shale boom, the country’s new government goes for a major overhaul of the state-run oil giant, YPF, ousting its president, splitting the position into two and replacing him with a banker. The shuffle is part of efforts by President Mauricio Macri’s government to reorganize the biggest energy company in the country, which was nationalized a few years ago by Macri’s predecessor, Cristina Fernandez de Kirchner. Some media reports claim that new Energy Minister Juan Jose Aranguren—a former Shell Argentina chief--held a grudge against Galuccio, mainly because of the debt that the company accumulated during his term. In its 2015 financial statement, YPF said its debt to EBITDA ratio at the end of the year was 1.35x. Media sources have also noted Aranguren’s general criticism of the Fernandez government and its policies that were viewed as anti-business, and not friendly enough to oil. Much of the new debt that the now former head of the company had taken out since 2012 was invested in the development of a huge shale gas field, the prized Vaca Muerta. He had big plans for the country’s shale development, and he was commonly referred to as “The magician” in company circles. After all, he was credited with restoring YPF’s profitability and boosting oil and gas production. In short, he managed to turn the company around in the space of four years under a government that did not encourage foreign investment. It’s hard though to track success in this current price environment. That said, Argentina’s fixed oil prices have certainly helped the country weather the oil price storm, but only since 2014. Before that, these same fixed prices were holding investment back. So either this replacement marks the end of Galuccio’s usefulness to YPF and a new lease on life, or it represents oil-friendly Macri’s attempt to strengthen control over the state-run giant by placing his own people at the helm—or both. With the Magician’s magic having run out, what’s next for YPF with a new leader? Related: Choking And Lifting Preventing The Decline In U.S. Shale? Well, for one thing, everyone will be closely watching the YPF deal with Chevron, the details of which have never been publicly disclosed and are the focus of a Supreme Court judgment. There were some that felt these details should be known to the public, but YPF fought to suppress it in the name of protecting competitiveness. The Supreme Court recently ordered that YPF had to disclose the contract for the development of massive shale reserves in the Vaca Muerta. But then the head of Argentina’s anti-corruption office, Laura Alonso, did an about face, deciding that YPF was justified in holding back the details. This all came about at the same time more or less that the YPF head announced his resignation.